Plastic is choking every corner of our planet – but one Dutch supermarket is fighting back by opening the world's first plastic-free aisle. 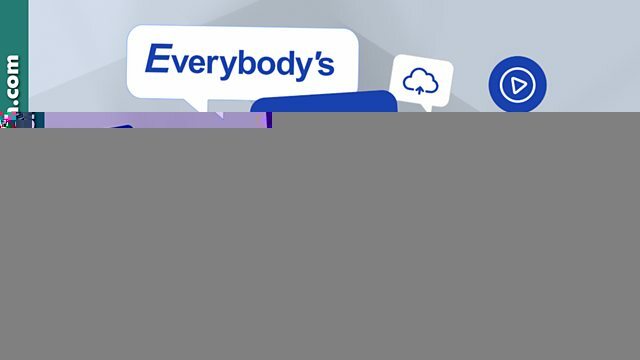 Everybody's talking about it – and BBC Learning English presenter Charlene's been finding out the actual words they've been saying. Hi guys! I'm Charlene from BBC Learning English. With one million drinks bottles just like this one being sold around the world every minute, plastic pollution is a truly international problem and more and more of us are looking at ways to use less plastic in our daily lives – or even to live 'plastic free'. With the world's first plastic-free aisle opening in a Dutch supermarket this week, everybody's talking about it, and I'm asking three questions to find out the actual words people are saying. Question one. How concerned are you about the amount of plastic in the environment? Really concerned. It's affecting everything, isn't it? Yeah, it is really concerning you know, you see all the beaches washed up with plastic and everything like that… it's not great. Who do you think is responsible for solving the plastic pollution problem? I would say the governments of every country could legislate against so many products being manufactured in plastic. Well I think the government have a big part to play in it, retailers, all the shops, but also people as well. Unfortunately, it's all of us… Until there is less demand for plastic, these companies are going to keep producing it, unfortunately. Could you see yourself making a conscious effort to live plastic free in the future? Yeah, of course… if we all start thinking of ways to live plastic free, I think we can eventually get there, it's just gonna be a long process. I have thought about it a lot… I would love to but yeah, at the moment I can't see how that would be possible. Yeah I think I could. I already do to a certain degree. I kind of go to shops more and – more than often that don't do plastic bags. I don't think it's a necessity, put it that way. So there you go: Everybody's talking about 'plastic free' and now you can too! There's a recap coming up in just a second – but don't forget you can find out more about this topic at BBC Learning English dot com, you can also find us on Facebook, Twitter, Instagram and YouTube - and get talking! See you next time! English speakers sometimes use a negative with an adjective to mean the opposite of that adjective. Which phrase means 'It's bad'? This word also means 'an actor's role in a play'. Think carefully about cause and effect - and don't forget the effect of the word 'less'! Which word can NOT fill the gap in the context of this conditional sentence? "______ there is less demand for plastic, these companies are going to keep producing it." The missing word is often used to measure things like temperature or angles. Complete this phrase, which means 'a reasonable amount': 'to a certain ______'. Yeah, it is really concerning… it's not great. Well I think the government have a big part to play in it. Until there is less demand for plastic, these companies are going to keep producing it, unfortunately. I think we can eventually get there. I have thought about it a lot. I would love to but yeah, at the moment I can't see how that would be possible. Yeah I think I could. I already do to a certain degree. How concerned are you about the amount of plastic in the environment? Who do you think is responsible for solving the plastic pollution problem? Could you see yourself making a conscious effort to live plastic free in the future? Send your comment to us by email. Please write '#PlasticFree' in the subject line. We'll publish our favourite emails here on this page. We can't reply to individual comments, but we do read all of them! Using too much plastic bags is also big problem in HoChiMinh city in Vietnam. A recent research found that average 5 tones of plastic bags were released each day in this city. A person can use about 10-15 plastic bags every day. We can find plastic bag throwing all corners of the city. A reason is that it is cheap even free to buy this kind bag. Not only the low price of this containers but also the availability is easy to find in the local markets, shop stocks and supermarket. A common solution to deal this rubbish is to burn and burry on the ground. As consequently, land and water systems are polluted from this action. Recently, Australian fellowship holders are planning a plastic free day in Vietnam. They are calling people not use plastic bags for their shoping and packaging purposes. They think the 4th March is a plastic free day. Firstly, this campaingne will be encouraged all students to join and make action on 4th March 2019. In order to disseminate the mission of plastic free day, all kinds of communication including social media such as facebook, twitteer, radio and television will be ultimated for calling on not using plastic bags. Then, a model of householders on not using plastic bags will be builded. Awards for winners on this competition will be given. Finally, producing alternative materials will be supported by donors for replacing plastic bags. I remember one said, when the plastic bag is invented, the environment become worse, it also make kitchen not enjoyable, it’s difficult to make neat. More important is I worry about the safety of plastic, when those be used in packing food, heated by wrapping plastic, and ice stored in refrigerator, I rejected. it reminds me we use the bamboo basket or clothing bags, it is healthy and more pro-environment. I am really concerned about the amount of plastic in the environment since I started to search more about how it affect the environment and after research I found several reports about it. Firstly I read that the plastic it takes one thousand years to decompose. Secondly is that when plastic bags burned it releases a poisonous gas to the air. Thirdly, plastic bags cause death to both animals and fish after they have mistakenly ate them as a food. Finally, when the plastic get into soil and slowly release toxic chemicals which is not great for farming. I would say that all people around the world all the word's government they have a big part to play in order to prevent the negative effect in our environment. This can be achieved by avoiding plastic materials uses and its production and starting using other materials instead made of papers and woods and so forth.The conscious effort I have made to live plastic free in the future is that I have already stopped all usage of plastic bags in my living place and also my working place. I’m really concerned about the amount of plastic that we’re using nowadays. Everybody knows how dangerous is this for the environment. Because of this, I think we have to try decrease the use of this kind of material now for save our future. I think the responsible for this is all of us. It’s very comfortable to think that the responsibility is only of the government. I could do more for this purpose, but I always try to be better than in the past. That's all for this session. Check out The Experiment homepage to see what else everybody's talking about!